Irene specialises in administrative law and regulated markets, where the interaction between government and industry plays an important role. She advises companies on compliance with Dutch and European legislation. The focus is on the regulation of food, pharmaceuticals, healthcare, gambling and privacy. Irene regularly litigates for or against governments, particularly against regulatory authorities in regulated markets. This may involve, inter alia, licensing, administrative enforcement (enforcement measures from (semi-public interest) government bodies such as an encumbrance or administrative fine), publication of documents (Freedom of Information Act (Wet openbaarheid van bestuur)), government liability, awarding subsidies. 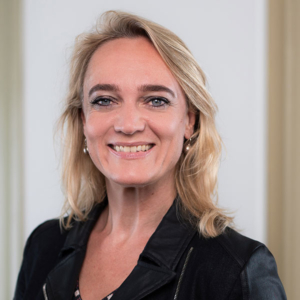 Irene started her legal career at the Independent Post and Telecommunications Authority (Onafhankelijke Post en Telecommunicatie Autoriteit (OPTA)), where she worked as a legal adviser. In 2002 she moved into advocacy. From 2002 to 2009 she worked at Van Mens & Wisselink, specialising in (economic) administrative law, regulated markets (pharma/food, healthcare and gambling), competition, intellectual property and privacy law. She then worked for over a year at Dijkstra Voermans Advocatuur as a senior lawyer assistant/manager. In 2010 she moved to VMW Tax and where she became a partner in the department Markets and Government. Irene has been connected to Legaltree since 2013.